Actual laptop style keys; ABS, QWERTY w/59keys, keyboard allows effortless typing experience, Upto 12 Shortcut keys for tablet functions. Bluetooth version: 3.0. Key life: 5 million strokes. Charging current: >100mA. It is the fastest way to settle your concern or issue. Weight: 65g. Color: Black. Box Contents: Keyboard, Mouse, Batteries, Dongle & Instructions on how to set up. Ultra-thin keyboard and mouse set is ideal for use with SMART TV, laptop, PC etc. Suitable for use up to 10m away from TV screen. 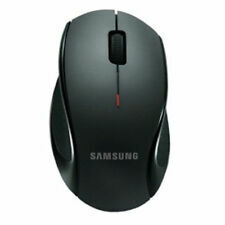 White Wireless Mini Keyboard and Mouse for SAMSUNG UE55NU7020 55"
Generally, this keyboard works well on smart TV. Before you place order, try the common wired keyboard and mouse on your smart TV. If the keyboard and mouse all work well, this keyboard-mouse combo can too. 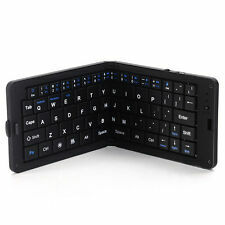 Our folding bluetooth keyboard bring you a more convenience experience by their portable and palm size design. Foldable mounting included, more convenience. Mini portable and foldable design. 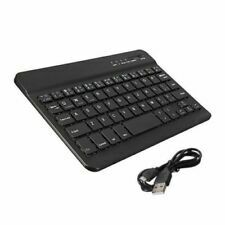 Universal Folding Bluetooth Keyboard for Windows, IOS & Android Devices (SC-KB-218). 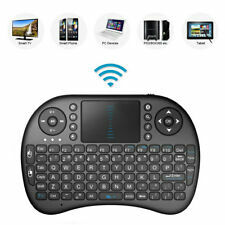 Wireless Bluetooth (QWERTY) Keyboard for Samsung Tabs, iPads & Kindle Tabs. Actual laptop style keys; ABS, QWERTY w/59keys, keyboard allows effortless typing experience, Upto 12 Shortcut keys for tablet functions. 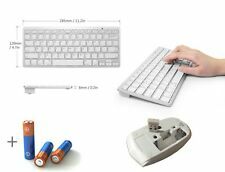 White Wireless Mini Keyboard and Mouse for SAMSUNG QE65Q900 65"
White Wireless Mini Keyboard and Mouse for SAMSUNG QE75Q900 75"